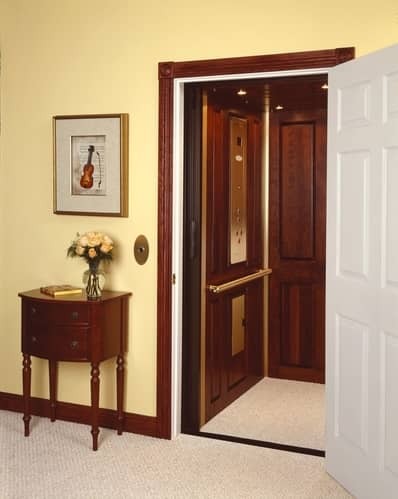 The Infinity luxury home elevator is the ultimate smooth, quiet ride thanks to its precision hydraulic drive system. When you install an Infinity elevator in your home you add the ultimate in convenience. Whether it’s carrying luggage or laundry, riding in comfort and luxury eliminates the barrier of stairs. Inside your Infinity elevator, four recessed ceiling lights are included along with a stainless steel cab operating panel and illuminated buttons. A standard unit comes in your choice of melamine walls. We also offer a selection of wood veneer finishes as well as finely crafted hardwoods such as raised cherry panels. 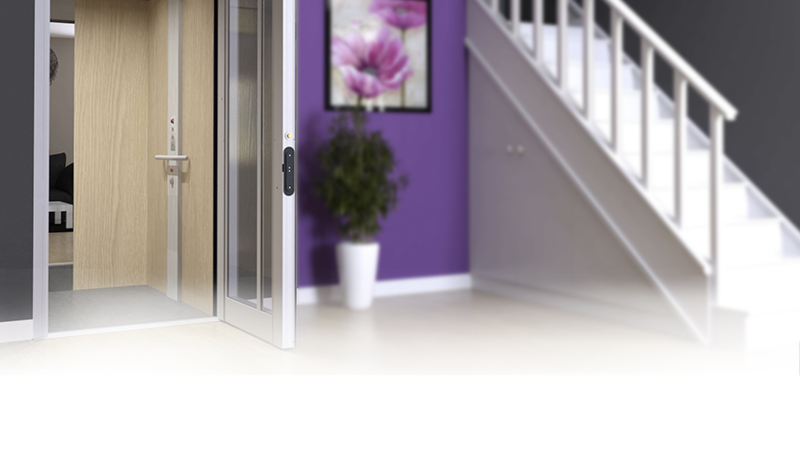 You can also have your Savaria elevator finished on site by your own contractor to match your current home finishes.